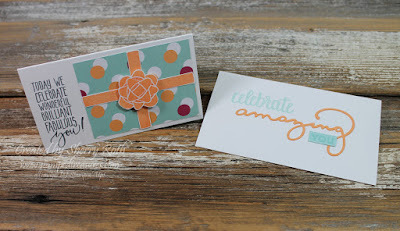 In Monday's blog post I shared a bit about Stamp Cafe, you can find the post here. 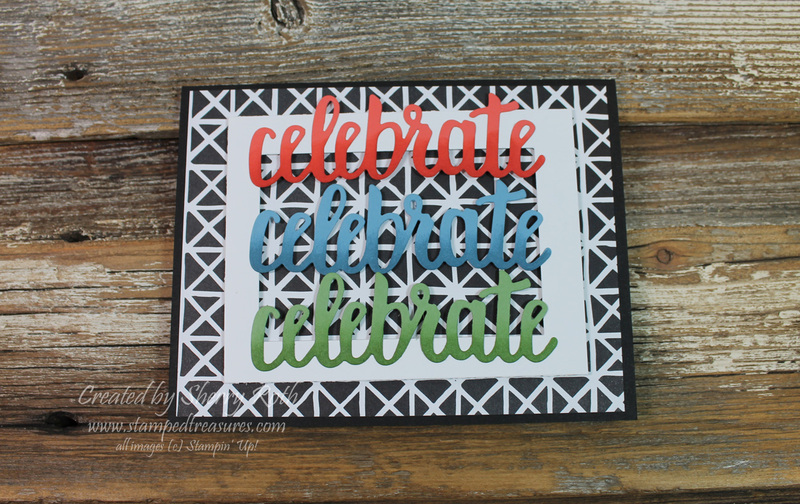 Today I'm continuing on with more details about Stamp Cafe but today I'm sharing the make and takes from both the morning and afternoon classes. Winona and I each plan a class, which kind of fun because we have different ideas and styles so it's nice for our customers to get a variety of ideas. Her class focused on different ways to add color. 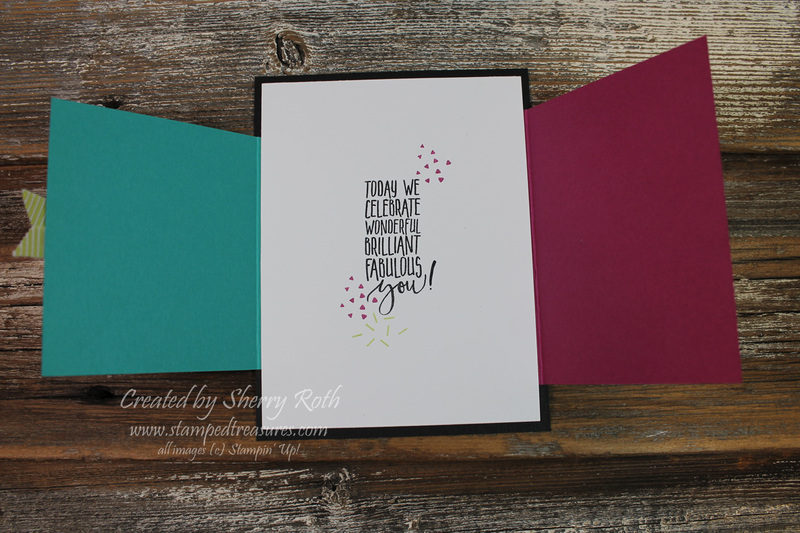 For the first card, attendees created an ombre look by sponging color onto the die cut celebrate word. It's hard to tell from the photo but each of the words gets gradually darker. This photo doesn't do this card justice at all! 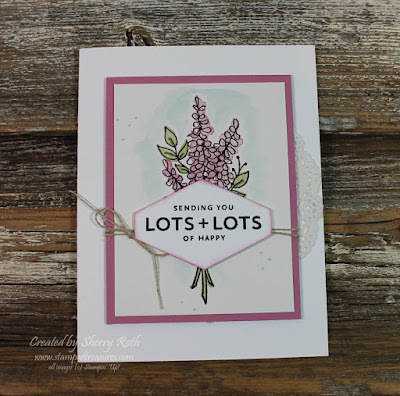 The image from the Heartfelt Blooms stamp set (free with a $60 purchase) was stamped in smoky slate ink and then colored in using our watercolor pencils and a blender pen. 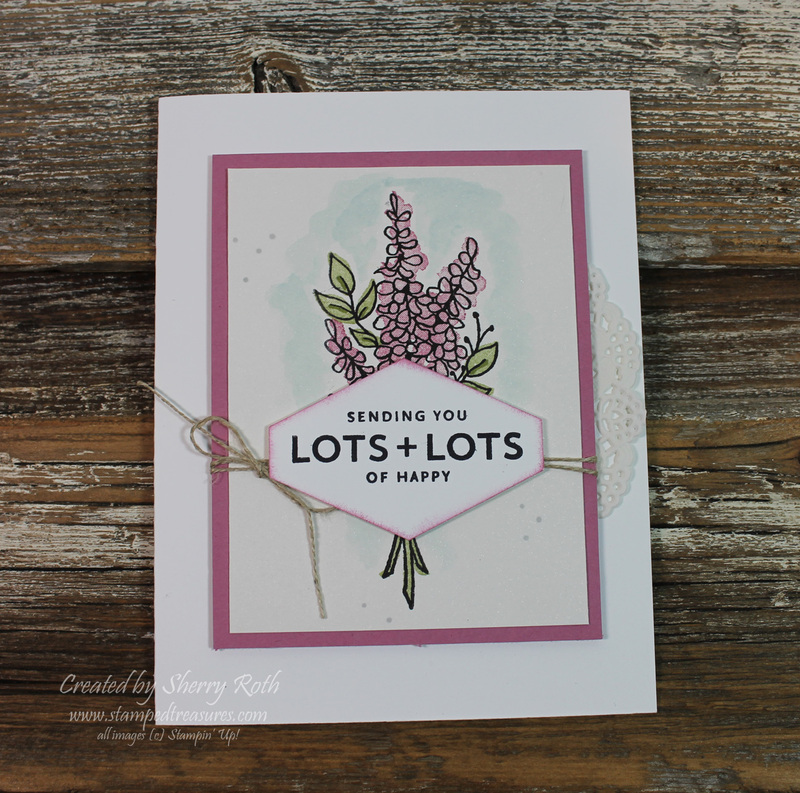 This next card uses the Lots of Lavender stamp set. 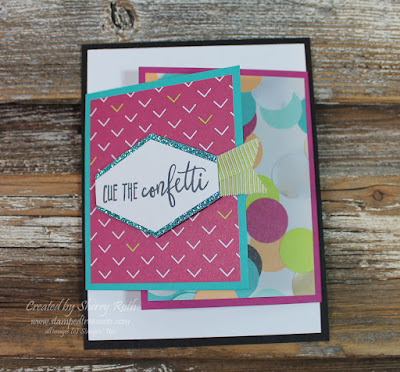 The background was created using soft sky ink and an aqua painter. 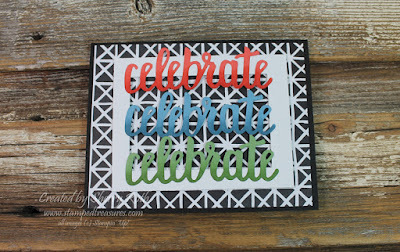 Then the little speckles were added by using the smoky slate Stampin' Blends. 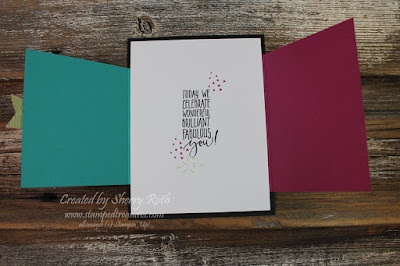 And the last card for her class was adding color to dsp. The dsp was stamped on using the leaf and flower image from the Petal Palette stamp set and then pool party was brayered on using our sponge brayer. For the afternoon class, I chose to focus on the Picture Perfect Party Suite and coordinating dsp. The first project uses the Lots of Love box to create this cute packaging. You could tuck a gift card in there, a couple of our narrow note cards or a candy bar. This next card is a bit of a fancy fold that was inspired by a card I saw on Pinterest. The first photo is of it closed and this one of it open. 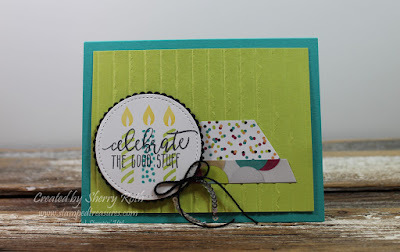 Then we had one using the candles from the Picture Perfect Birthday stamp set. Oh how I love lemon lime twist and bermuda bay together! 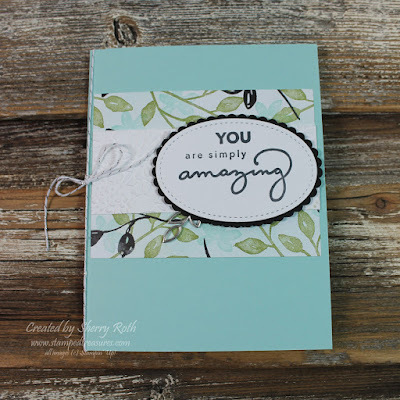 And the last one was a narrow note card that also was inspired by one I saw on Pinterest. 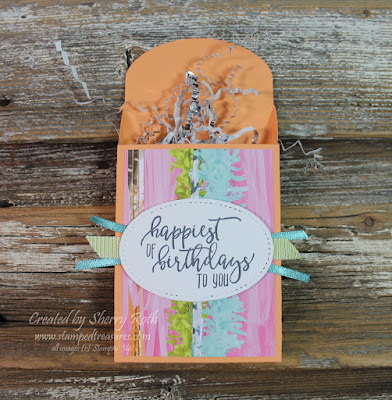 The solid candle in the stamp set was used as ribbon. 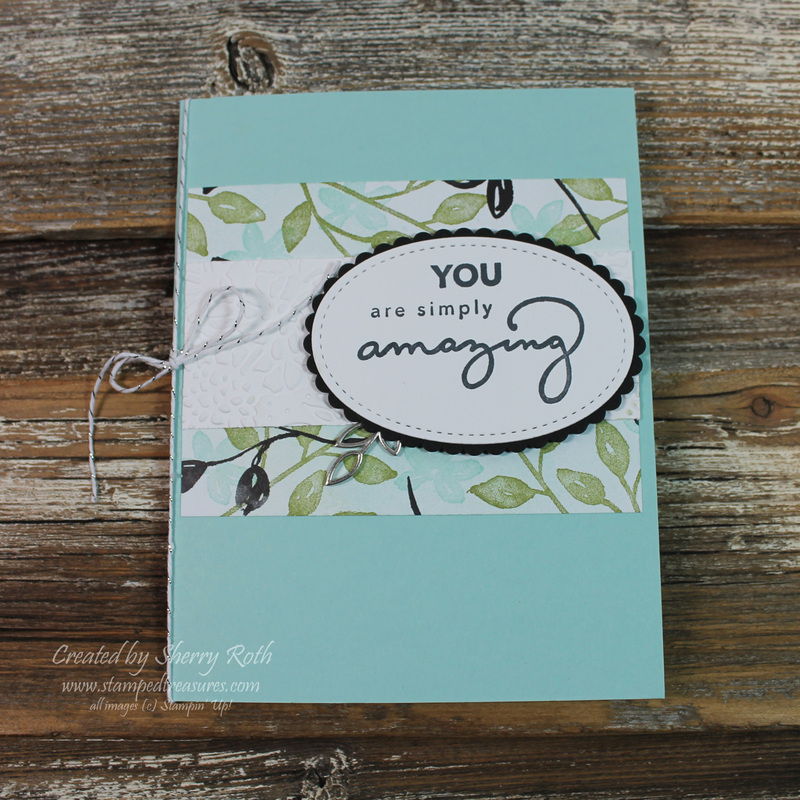 I'll be back tomorrow with the release of my next class in the mail and on Friday sharing projects from my demo. 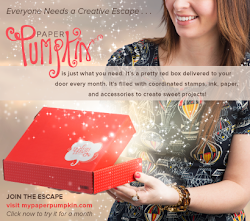 Reminder - Today is the last day to sign up for the Myths and Magic Scrapbook Class! You can find all the information here.